Heart attacks occur when an unstable area in an artery wall bursts and leads to clot formation. 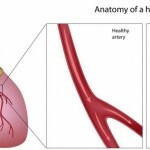 The clot that forms, leads to critical blockage of the artery, cutting off the blood supply beyond that point. The heart muscle supplied by that artery now no longer gets the blood it needs, and dies, typically within a matter of hours. This is why a heart attack is the most feared complication of coronary artery disease. Most heart related chest pain however is not from a heart attack; it is the kind that comes with exercise/exertion and goes with rest. 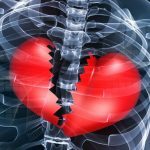 This is typically called stable heart disease and is the result of blockages that have formed over time and limit blood flow to the heart muscle causing the symptoms at times when increased blood flow is required, such as exercise or walking up stairs. So What Does A Stress Test Tell Us? Although there are many different types of stress test, they have the same goal in common, to look at the blood supply to the heart. By comparing the blood supply in different areas, the stress test highlights the areas where artery blockage is tight enough to prevent the heart muscle getting the blood supply it needs to meet its demands. In people with symptoms such as chest pain on exertion, the stress test can often identify the area where the blockage is, and also give information about the extent of the problem, information that can be used to guide our management of these patients. So in patients with symptoms, the use of the stress test is clear, to identify the area blocked, and use that information to guide treatment that may include the use of medications, or even an invasive procedure such as a heart catheterization to have a closer look. 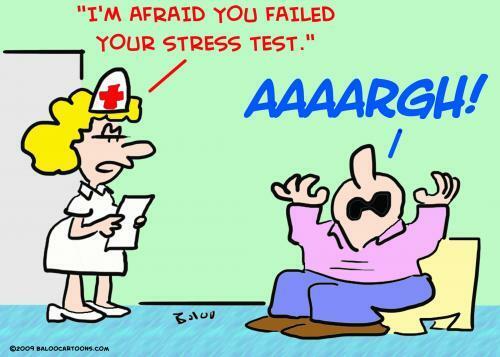 It’s Often The Silent Abnormality That The Stress Test Can’t Pick Up That Causes Heart Attacks! This is where it gets interesting, as it’s often the people with no significant blockages or symptoms that can get heart attacks. Ideally we would have a test that would identify the ‘unstable lesion’ basically the area that is likely to burst and cause a heart attack. However this is often the area that is not causing a significant blockage that limits blood flow. 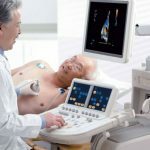 Infact it is often the silent yet deadly area that can look relatively normal, even if we did an invasive test such as a heart catheterization. The stress test wouldn’t even begin to identify such patients and would come back as normal. As of yet, we don’t have a test that is proven to accurately identify unstable lesions. We do however have measures that can help stabilize heart disease such as the use of proven medications, life style changes, and the modification of risk factors such as high blood pressure. In patients with ongoing symptoms, especially high risk patients with a history of heart problems, stress tests may be useful to identify whether there are significant blockages in the arteries that are the cause of the problems, and help guide further management. In some cases such as in patients deemed at very high risk by a cardiologist, or in patients with unstable symptoms it may be reasonable to skip the stress test and proceed straight to heart catheterization and have a look at the arteries. However in most patients that are not having symptoms or ongoing active heart issues such as worsening shortness of breath, there is usually no indication for a stress test. In fact the overuse of these tests may cause more harm than good by leading to unnecessary and risky procedures. It’s reasonable to suggest that if a patient truly has a blockage that needs identifying, there would be symptoms in most cases. Recent studies have highlighted the overuse of stress tests. Many studies have demonstrated the remarkable overuse of these tests simply by the very high rate of completely normal tests, many of which never needed doing in the first place. In patients that have had stent placement or bypass surgery for example, it has been demonstrated that routine testing in most patients without symptoms was associated with increased risk of repeat procedures, but no decrease in the rate of heart attacks or death. In fact routine yearly tests for most stent or bypass patients without symptoms is no longer recommended. In patients who develop symptoms, heart issues, or deemed by their physician to be at high risk, the use of stress testing may be reasonable. Unfortunately the false reassurance from unneeded routine stress tests in patients without symptoms often appears to make people forget that the emphasis in these patients should be on treatments that can act to stabilize the heart disease. These treatments include medications, blood pressure control, cholesterol management, avoiding smoke, exercise, diet, and adoption of a healthy lifestyle. Now these are truly life-saving measures. my brother died at 60 from the widowmaker. He had family history ad high colesterol years ago that was under control with med. he didn’t drink or smoke and was in excellent “looking” shape. Ex Navy Seal and until he died worked out and swam regularly. He went to a dr a week before passing complaining of chest and arm pain. She told him to warm up better before swimming laps, took blood work and dismissed him. Our father died in early 60’s of the same. should she have checked more? We would like to offer our condolences at the loss of your brother. We are unable to comment on your specific medical care but in general the presence of chest and arm pain aged 60 can be highly suggestive for Cardiac Chest Pain and should be taken very seriously, especially if there is no history of prior investigations. I would encourage anybody with these symptoms (especially those with a family history and risk factors such as high cholesterol) to see their physician and ask them to specifically rule out cardiac chest pain. Thank you for some fun and informative articles. I have enjoyed reading them. My question revolves around lifestyle. There seems to be so much evidence on plant based nutrition to reduce your coronary risk. Would you comment on diet and lifestyle vs taking medications? Hi I have to have a stress test this week, 8 weeks after having my ha,I’m 42 can this bring on another ha? I am 25 years old with the weight of 75 kgs female ..I have a high cholesterol and triglycerides often this days I am having chest pain and always dizzy when I consult a phhsician She just advise me to lessen my habit of eating fatty foods and to increase walking and exercise each day..She did not prescribed any medicine and I am worried because untill now I am still having chest pain and still un able to loose weight..
Dr. Murtaza Ahmed….does taking the lemon+ginger+vinegar+garlic+honey juice have any positive effects on minimizing plaque build-up in the coronary arteries as claimed by some on the internet? “It’s reasonable to suggest that if a patient truly has a blockage that needs identifying, there would be symptoms in most cases.” What about the millions of *other* cases where the person has no symptoms whatsoever and experiences sudden cardiac death? (both my father and my brother.) I am curious why the Coronary Calcium Scan is not listed here? With regard to the calcium score, although its a potentially useful incremental tool when it comes to risk assessment, its role in the argument of stress testing and management is less clear and the evidence is lacking. In honesty it often clouds the issue from a clinical standpoint. A patient with a calcium score in a high range may become a candidate for intensive risk assessment and risk factor modification. But if entirely asymptomatic there is not good evidence that patients with high CT calcium score would benefit from an aggressive risk assessment strategy with invasive management by heart catheterization. It might be reasonable however for an entirely asymptomatic patient with a high calcium score to undergo a test such as treadmill testing. There are also many situations where i would advise a treadmill, but not a nuclear stress test. There is alarming data that underlies these contentions. One study that was published in the New England Journal of Medicine a few years ago http://www.nejm.org/doi/full/10.1056/NEJMoa0907272#t=articleBackground demonstrated that only a third of patients who went for elective angiography had significant blockage. Amazingly, this was a predominantly symptomatic patient group who were felt ‘high risk’ enough to go for angiography. If it were a non invasive and 100% safe procedure that would be ok, but thats not always the case. Its your heart, and its of course scary in the context of a family history, and no matter what, great attention to detail needs to be paid to risk factor modification and event prevention. The role of stress testing needs to be determine by a physician who knows the case well and understands the evidence (including its limitations) rationale and consequence of any chosen management strategy. Angiogram is performed last year snd the results are ok. As heart function is reduced. I cant afford any furthrr heart attack. How do I make sure. Should I do stress testing very frequently to check grafts patency?